Registered companies in the Philippines are required to report their new employees to four government agencies, the Bureau of Internal Revenue (BIR), Social Security System (SSS), Philippine Health Insurance Corporation (PhilHealth), and the Home Development Mutual Fund (Pag-IBIG Fund). It is compulsory to notify these government agencies on the status of employment of an individual legally working in the Philippines so as to grant him/her the mandatory employee benefits s/he is entitled to under the Labor Code of the Philippines. Three of these benefits (SSS, PhilHealth, and Pag-IBIG Fund Contributions) are administered by their respective government agencies through a monthly contribution scheme that requires the employer to remit a portion of the employee’s actual monthly salary to each agency. Employers who fail to remit the required contribution amount by the scheduled deadline are liable for payment of interest penalty, which is computed from the due date until the time of payment. The Bureau of Internal Revenue (BIR) is the taxing authority in the Philippines responsible for regulating taxation and collecting internal revenue taxes. It requires resident citizens in the Philippines who are receiving income from sources within or outside the country to pay their personal income taxes and file income tax returns. You need to require the employee to file BIR Form 1902 to the Revenue District Office (RDO) where your company is registered. If the employee already has an existing TIN from his/her previous employer and it is registered with the same RDO as your company, either the employee or your HR personnel needs to submit a BIR Form 2305 to update his/her information. If the employee obtained his/her TIN from their previous employer and it is registered in a different RDO as your company, the employee needs to submit a BIR Form 1905 in the RDO where his/her previous employer is registered. 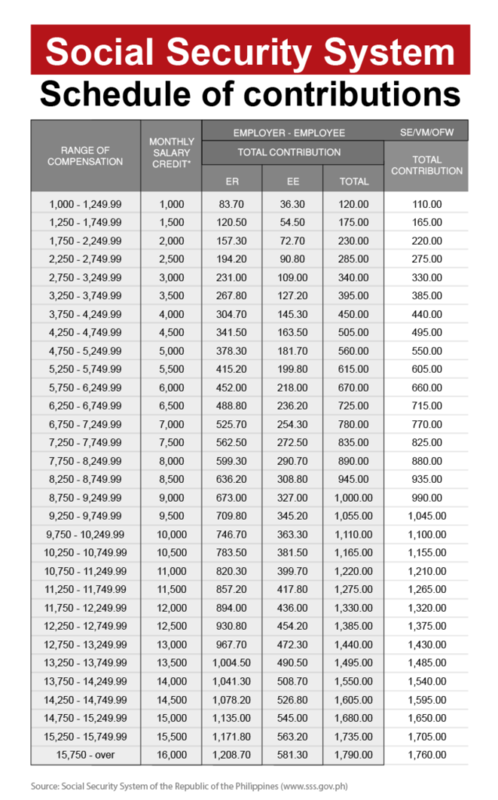 The updated BIR Personal Income Tax Table under TRAIN Law can be viewed below. Provided under Republic Act No. 8282, all employees hired by private companies are required to apply for membership with the Social Security System (SSS). This system provides private employees and their families protection against disability, sickness, old age, death or other such instances that could make them incapable of continuing their employment. The Government Service Insurance System (GSIS) is its equivalent system for public employees in the Philippines. Both employer and employee are required to remit monthly contributions to SSS. The contribution amount is determined by the employee’s actual monthly salary wherein the employer is required to contribute 70% of the required amount while the remaining 30% is deducted from the employee’s monthly salary. Employers are required to fill-up the SSS Form R1A – which contains the list of new employees alongside their respective SSS numbers. 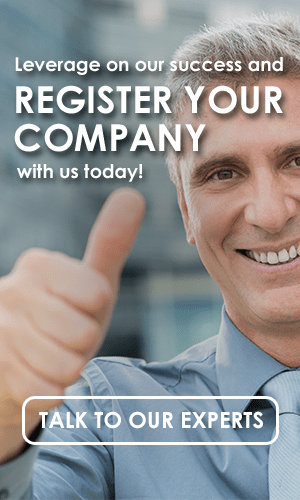 The SSS Form R1A can be submitted online or to the SSS office where your company is registered. The updated SSS monthly contribution table can be viewed below. All employees, both public and private, are mandated under Republic Act No. 7875 to apply for membership and remit monthly contributions to the medical insurance company in the Philippines – the Philippine Health Insurance Corporation (PHIC), or more commonly known as PhilHealth. PhilHealth provides health and hospitalization subsidies to its members should they or their dependent/s be hospitalized. It provides employees with a practical means of paying for adequate medical care in the Philippines. The monthly contributions are deducted from the employee’s actual monthly salary where they are required to contribute 50% of the amount and the remaining 50% should be paid by the employer. Each new employee needs to fill-up and sign a PhilHealth Member Registration Form (PMRF) regardless if he/she is already a PhilHealth member or not. Existing members are required to submit their PhilHealth ID number. An accomplished PMRF form should be submitted to the PhilHealth office where your business is registered. Employers are required to submit a PhilHealth Form ER2. This form should contain the list of new employees and be submitted to the PhilHealth office where the company is registered. The updated PhilHealth monthly contribution table can be viewed below. Republic Act 7835 mandates employers to contribute to the Home Development Mutual Fund (HDMF), otherwise known as the Pag-IBIG Fund. It is a provident savings system that supplies housing loans to public and private employees, as well as to self-employed persons who apply for membership. It provides housing and land acquisition loans to its members with the lowest interest rate and are payable for up to thirty (30) years. New employees are required to undergo the HDMF Online Membership Registration to become members of the Pag-IBIG Fund. Please note that employees must be registered with the SSS first before they can register with the Pag-IBIG Fund. Employers can submit the list of their new employees by filling up the Member’s Contribution Remittance Form (MCRF) and marking the new employees as NH (Newly Hire) when manually filling the monthly Pag-IBIG Fund contributions or accomplishing it online through the Fund’s online web portal. The updated Pag-IBIG Fund monthly contribution table can be viewed below.